The Internet has opened up a wealth of opportunities such that it would be negligent for the security camera industry to ignore Internet surveillance cameras. Providing digital video systems with a mechanism to connect to the Internet places the power of versatility and global use in the user's hand. But what exactly is an Internet surveillance camera? What does IP mean and how do these devices work? We'll try to answer these questions in the following article. Do you fear what is happening in your home when you are not there? For these homeowners, Internet security cameras offer much security. They are easy to install and offer great security. There are many options on the market today. New options are being developed each day. However, understanding the basics will allow you to make an informed decision on what is right for your home. Homeowners interested in installing an Internet security camera often become confused about the specifics that they need to look for. It really becomes an individual choice once the homeowner understands the basics. 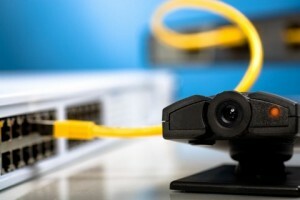 Each Internet security camera system requires a network video recorder. This recorder acts as the brains of the Internet security camera system. It controls the configuration, it allows the user to playback the photos, it allows the user to expert the data for other users and it allows the Internet security cameras to connect with other Internet devices depending on the user’s direction. Internet security cameras are a great asset in a home security system. It is, however, only as good as the monitoring that accompanies the system. Unless you are prepared to look at the feed 24 hours a day, 7 days a week, it may be wise to also hire a monitoring company. The monitoring company can alert emergency personnel when needed to your address. Internet security cameras are either analog or PTZ. Users need to decide which is right for their individual circumstances. The main advantage of an analog camera is the cost. The main advantage of the PTZ system is that it can zoon in on user demand to get better photos. Whichever system is chosen, make sure that the camera will capture a 360 degree view and has the ability to track the main subject in a scene. Look for an Internet security camera that will allow the user to install a large SD card. While the main recording is done in the network video recorder, the SD card can be an important back up system. The more memory the SD card has the more information that can be captured on it. If there is an interruption in the network, then the SD card will still capture the information should something occur. It is also important to also consider the amount of bandwidth the system will use and the cost of that bandwidth. It is important to consider the power source when purchasing a camera. Internet security cameras require electricity. Think about this before you buy the camera as it may determine the type of camera that you ultimately purchase. It is also important to consider the best color of camera to purchase. No one wants an ugly Internet security camera or cables. Both are available in a multitude of colors. Buying the right color will also help the camera and cables blend into the background. Internet security cameras come in several basic types. Each types has its own advantages and disadvantages. The first type of Internet security cameras are box cameras. These are the most popular option. They are used in many businesses and in some homes. They are usually rather large and may deter some crime by their mere presence. When purchasing a box Internet security camera it is very important to consider what type of lens is right in each circumstance. These cameras work best in circumstances where there is enough available light to take the photo. The box camera can be equipped with infrared lenses to take lights in low light circumstances. The box camera can also be installed in special housing to make it waterproof. Remember whatever type of box camera you choose that you install it so that it will cover the majority of the room. These cameras only take photos in one direction. It is important to keep this in mind when installing the camera and figuring out how to power the camera. The second type of Internet security cameras are dome cameras. These cameras are more attractive to some homeowners because it is hard to tell exactly where the dome camera is taking the photos. These cameras are easy to install and waterproof dome cameras are available. Look for a dome camera with interchangeable lenses so that the homeowner can be assured of having the right lens should circumstances change. Like the box camera, these cameras are only capable of shooting in one direction. Expect to cover only about 25 percent of a room with a dome camera. The third type of Internet security camera is the PTZ camera. These cameras are among the most flexible on the market today. PTZ cameras work best when mounted in open situations since PTZ cameras take 360 degree photos with a fisheye lens. These cameras take their name from the fact that they can be remotely panned, tilted and zoomed. 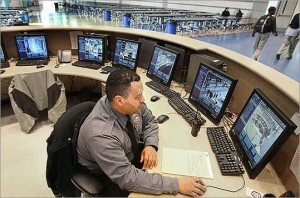 This is a distinct advantage in monitored security systems where someone is actively watching the system all the time. These are the newest Internet security cameras and the quality continues to increase. The fourth type of Internet security camera is the bullet camera. These cameras come in two different sizes. They are usually the least expensive option on the market. The homeowner gives up a clear photo in exchange for the cheaper price. These cameras are usually waterproof so they make a great option for outside use without modification. Most bullet cameras do not have interchangeable lenses so it is important to know where you are going to place the bullet camera before you buy it, so that you can buy a camera with the right focal length lens. It is nearly impossible to find support for these cameras. These cameras can only shoot in one direction, so make sure that you install the bullet camera in exactly the right place. The fifth type of Internet security camera is the spy cameras. Basically, spy cameras rely on analog. It is possible to buy an Internet security camera that is hidden in a clock, pen or almost any other device. Make sure to check out the individual device as many manufacturers are trying to get too much technology into too small a package. The result is unclear photos or problems connecting to the Internet. Make sure to know the local laws where you intend to use these devices. Spy cameras can be hidden in clocks, pens and almost anything else. These cameras only take photos in one direction so strategic placement of the spy camera is mandatory. Look for a camera that will not make any noise and will work with the available light. These cameras are great for people who may need to move the camera around depending on different circumstances in the home. Most spy cameras are small enough to be carried with you on business trips or when someone else is using your car. Regardless of the type of camera that one is considering purchasing, there are three factors that need to ultimately be considered. The first of these considerations is the frame rate. It is often known as the FPS rate. This is the frames per second that the camera can be operated at. The top FPS is 30. The lower the FPS is the less fluid the pictures coming from the camera will be. A lower FPS will result in photos that are intermittent. If more than one camera is connected to the same network, the FPS for the entire system must be considered. The second number that needs to be considered is the television line. This number is especially vital for analog cameras. The higher the number, the better the picture will be. The top television line number is 700. Look for numbers close to 700 to make sure to get crisp, clear photos. The third number that needs to be considered is the megapixel number. Security cameras should have at least a 5 megapixel. Generally, the higher the megapixel, the lower the FPS number will be. It is a trade-off that must be carefully considered. Higher megapixels will allow the authorities to enlarge a single frame, while authorities can also learn much from watching the mannerisms in a moving film. Researchers are working at finding solutions that will allow cameras to have both higher megapixels and higher FPS. Taking time to investigate all the options on the market is important before you buy. First, consider what you want the camera to accomplish. Consider how you will power the camera and associated equipment. Then, consider how the camera will blend into your existing décor. The next step is to consider the type of security camera that is right for your budget and your circumstances. Finally, look at the numbers. Consider the FPS, the television line and the megapixels. Understanding the basics will help you make the right decision to begin with. Each circumstance is different and there is no one right answer for everyone. Now that you are armed with the right information making an informed decision is easy. 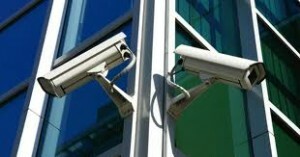 Visit Security Camera King’s inventory today to find the right Internet security camera for you.